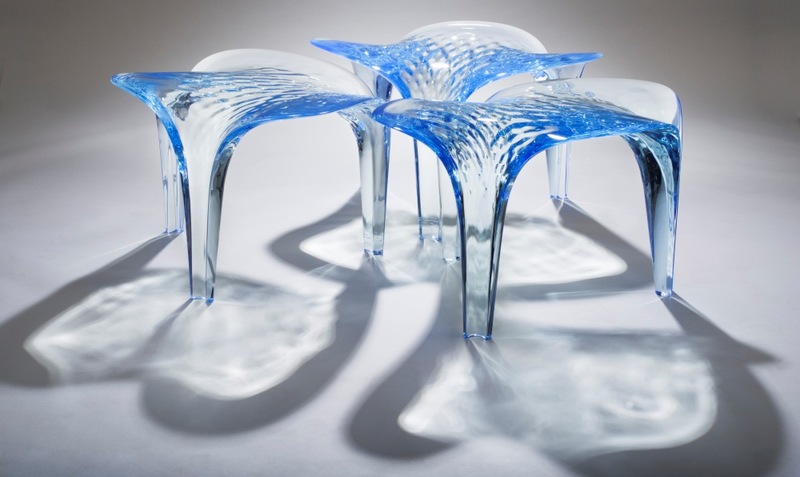 Internationally acclaimed architect Zaha Hadid’s furniture is always sure to turn a few heads, and the new additions to her Liquid Glacial collection with David Gill Gallery are certainly no exception to this rule. Resembling ice-formations, all pieces within the Liquid Glacial collection are made using acrylic, a rather interesting choice in material for a luxury collection. Encompassing tables, chair, stools and a centrepiece, the geometry of the items in the collection appears transformed from motionless to fluid by the subtle waves rippling below the surface. With its flowing curves and unusual aesthetics, the collection certainly evokes a futuristic feel, whilst still sitting perfectly within the luxury market. With this year’s Decorex theme being the Future of Luxury, this collection has got us thinking about the luxury materials and furniture shapes of the future. "I recently returned from Shanghai and, from a Chinese perspective, the future of the luxury market is very buoyant indeed. The Chinese have embraced a very stylish form of luxury - an appreciation of materials and of craft - they are also embracing design - both from abroad and at home. The days of the fake copy are disappearing as China continues to emerge as a strong and positive force for the future of the luxury market. Nearer to home, we are lucky in the UK and Europe that clients are choosing quality and originality as the most important elements of what we call "luxury" rather than the instant fix of glitter and gold. This is good for design and good for the luxury market as a whole." We’ll be exploring the Future of Luxury throughout all of our blogs and interviews in the run up to Decorex 2015, and we’d love to hear your thoughts!